Team CDD — Cruz Davis Family and Cosmetic Dentistry, Gainesville Florida's Favorite Dentist for Dental Implants and Emergencies ? 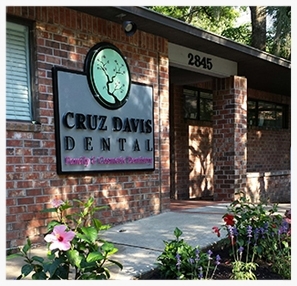 Cruz Davis Family & Cosmetic Dentistry provides general, cosmetic, and emergency dental services for all ages in our Gainesville, Florida, office. We also offer specialized services like Dental Implants, Invisalign®, and BOTOX®. Many of our patients are from in and around Alachua County, home of the University of Florida Gators, and we treat a great number of University of Florida and Santa Fe College students, athletes, and faculty, as well as UF Health Shands Hospital and NFRMC employees. We also have quite a few international patients who hail from distant locations as UF is a center for research and cultural exchange. We welcome patients from all walks of life, and we look forward to meeting and treating you. We make every effort to communicate effectively with all of our patients. Thanks to our area's diversity, we treat families from around the world in our Gainesville FL dental office. We value individuality and diversity and pledge to provide the same pleasant atmosphere and top-quality dental care for patients of all backgrounds. We are a holistic healthcare provider in that our treatment philosophy recognizes the interconnected nature of Oral Health with all other aspects of your body and general well-being. We do not just treat your teeth - we treat You. We also respect the individuality of each dental patient and his or her personal healthcare philosophies. Our mutual goal is pride in your healthy, beautiful, and natural-looking teeth. We respect your opinion as well as your budget. You and the doctor will create a customized treatment plan that suits your needs and budget. Your readiness to proceed will dictate our movement through the plan. We specialize in treating patients who have dental anxiety, are phobic, or have been traumatized by past experiences. We understand your fears and promise to be patient and gentle. Why suffer when you don’t have to? We do offer anti-anxiety medications and conscious sedation services to help ‘take the edge off’. dental care and customer service. Dr. Cruz-Davis is proud to call North Florida and Gainesville his home. Dr. Cruz-Davis began his dental education in 1998 at the University of Havana where he apprenticed in Maxillofacial Surgery. Later he graduated from the University of Florida - Phi Beta Kappa. He studied dentistry at UF and graduated with his DMD and the Clinical Excellence and Professionalism Award, the Endodontics Molar Award, and the Academy of Operative Dentistry Award. Dr. Cruz-Davis received his Dental Implants Fellowship from the International Congress of Oral Implantologist (ICOI). He is excited to offer dental implant services to patients in the Gainesville FL area. Dr. Cruz-Davis' approach to dentistry is conservative in that his priorities in treatment are to protect the organic tooth structure while maintaining the natural look of the teeth and smile. 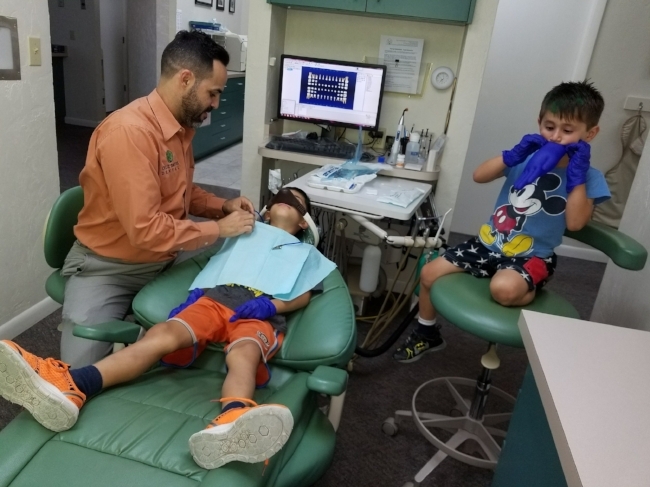 Beside directing and working at CDD, Dr. Cruz-Davis is a faculty member at UF's College of Dentistry where he teaches and assesses students as they work on some of their first patients. 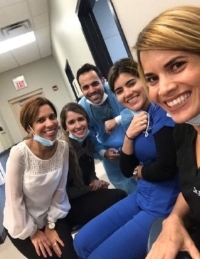 The dental school environment allows Dr. Cruz-Davis to keep apprised of the latest research and technological advancements in medicine and dentistry. Dr. Cruz-Davis is honest, hard-working, punctual, and he respects your time and your budget. He specializes in giving gentle and compassionate treatment to patients, quickly gaining the trust of those with extreme cases of dental anxiety. He is also active in community service through volunteer dentistry and oral hygiene education to low-income populations and schoolchildren. Our staff, many of whom have worked in the field of dentistry for decades, consists of educated, considerate, and compassionate professionals. We are constantly updating our procedures, techniques, and protocol in order to stay current with the latest research and recommendations, in addition to continuing education requirements. Any member of our experienced staff would be happy to assist you in any way possible, so please do not hesitate to ask. Liz began her career as a dental hygienist over 30 years ago in South Florida. After relocating to Gainesville, she joined our practice in 2010. When away from our Gainesville dental office, Liz values spending time with her husband, three sons, and the ruler of the household…her adopted 80 lb shepherd mix. Ginger and her husband Dave moved to the Gainesville area in the mid 80’s for school, and they fell in love with Alachua County. Ginger is a proud graduate of the Santa Fe College Dental Hygiene Class of ’91. Outside the office, Ginger enjoys sewing, practicing recipes, and doing volunteer work. Windy was born and raised in the Gainesville area. She graduated from Santa Fe College in 2001 with her Associates of Science Degree in Dental Hygiene and has been an active part of the dental field for 17 years. "I love interacting with my patients and getting to know them. I'm also passionate about sharing oral health education with patients." Windy has been married for 25 years and has two children and two grandchildren. Outside of the office, Windy enjoys spending time on the water, traveling with family, doing photography and taking care of her grandbabies. Born and raised in North Central Florida, Hailey attended Fortis College where she earned her Dental Assistant certification in 2015. Before joining Cruz Davis Dental in 2016, Hailey worked as an Orthodontic Assistant in Jacksonville. Outside of the office, Hailey enjoys spending quality time with her fiancé, Chase, and their 6-year-old son, Hunter, as well as her "second child" - a beagle named Tater. When not at our Gainesville dental office, Hailey and her family enjoy spending time on the water, going to Disney World, and watching Netflix together at home. Erin was born in the Washington, D.C., area and was raised in South Florida. She moved to Gainesville 3 years ago and recently joined our practice, bringing 8 years of dentistry customer service and insurance experience. Outside our dental office, Erin enjoys traveling, dining out or cooking in, and spending quality time with her husband, friends, and family. Our office is nestled in the natural greenery of the Thornebrook area of Gainesville, Florida, with patient rooms bathed in light entering through large windows. A bright comfortable lobby with a Keurig coffee machine reflect our desire to provide a professional, yet informal and relaxing atmosphere.